Here you can find all information pertaining to Dubai, United Arab Emirates - which includes How to Drive in Dubai, Documents required to rent a car in Dubai, how to get cheap car rentals in Dubai, Few car rental companies in Dubai, Availing Road Side Assistance in Dubai and Places to visit in Dubai. If you looking to rent a car in Dubai please visit – Cheap Car Rentals in Dubai, to compare and rent cars at low rates. If you are visiting Dubai for the first time, and wanted to hire your Rental Car in Dubai, read further. Before renting a car in Dubai, it is essential to know more about driving in Dubai. In the UAE, it’s a left hand drive and car is driven in the right side of the road. The traffic rules in Dubai are very strict, and any violation would attract a huge penalty, which the fine amount would be sent the car owners address or the Rent a Car company in Dubai via the RTA (Road Transport Authority) system which are authorized to be used by the car rental companies the United Arab Emirates. The Speed limit of the car varies in different places, generally, in most of the places the speed limit would be ranging from 80 KMPH to 120 KMPH; in case of road work of something the speed limit may be 60 KMPH in Dubai. You may also get a slow speed fine, in case you drive the car in 60KMPH in the lane intended to 120 KMPH speed lane. In case there is a breakdown of your car, you may call the AAA Roadside Assistance in Dubai or call the Dubai Police. If yours is a rental car, then you may call the car hire company. The COPS in Dubai are friendly, helpful and very good. It’s easy to rent a car in Dubai provided you have all the necessary documents. However, to hire a car at cheap rates, you must compare the prices provided by the car rentals companies to get a better car rental deal. When hiring a car in Dubai, check out whether the insurances are inclusive, the price of the rental car is competitive and are there any extra charges that would be included. Generally companies providing car hire just provide the rental car tariff only, and the insurance, other extras are charged separately. These extras, add-ons would increase the prices of your car rentals. So make a pre-check before hiring a car. Wide variety of car ranges are available to rent in Dubai ranging from small cars to 4x4 SUV’s, and even luxury car rentals which comes under premium car rental segment. Here in Key Car Rentals we have partnered with reputed car rental aggregator, who has the rental cars listed by top reliable car rental companies in the world. You may book your rental in Dubai, by visiting ‘Car Rental Deals in Dubai’ to get discount car hire in Dubai. In case you are stuck in the mid-of the road while driving, due to some technical fault in your rental car, you may call the car rental company. 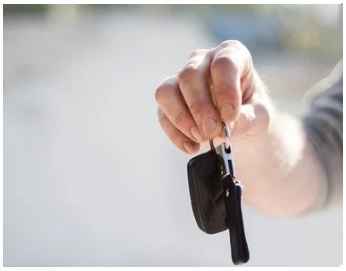 Generally, the Emergency Road-Side Assistance numbers would be in the Dashboard of the Rental Vehicle or else you may find it in the rental agreement. In case of Emergency or breakdown of your rental car, call the AAA Road Side Assistance in Dubai at 800 81 81 (Toll-Free) or the landline at +971 (0) 4 257 84 84. Most of the car rentals in Dubai have a tie-up with AAA Service for providing rental car customers with Road-Side Assistance. For Dubai Police call 999. Dubai is place, where you can find tourist visiting from different parts of the world, year around. Place that you must visit in Dubai, with your hire car in Dubai includes Burj Khalifa- the tallest building in the world, Burj Al Arab, Dubai Jumeirah Beach, Palm Jumeirah Islands, Dubai Shopping Mall, Mall of the Emirates, Zabeel Park, Burjuman Center and 50 minutes drive from Dubai towards Abu Dhabi, you may visit Yas Island Resort. You may get lot of electronics, costumes, Apparels at very low rates during the Dubai Shopping Festival, which starts from November and Ends in January ever year. During the shopping festival, nowadays even car rental companies provide special offers on car rentals, for make it more comfortable to experience the shopping spirit for their hire car as well. Which is better, renting a car in Dubai or hiring a Taxi Service in Dubai? Its better you have a rental car in Dubai, because generally Taxi’s are expensive. If you drive only a little kilometer daily and the taxi fare comes to less than AED 40 per day for your Trip, you may use the Taxi Service in Dubai, if not and you travel a lot, better to hire a car in Dubai at cheap rates. So did your get some basic information regarding Dubai and renting a car in Dubai. Is so, why wait, Rent a Car in Dubai Now! Car Rental Deals in Dubai can got during the seasons, and off-seasons, so don’t forget to check the car hire deals in Dubai, while searching for car rentals in UAE. The best way to hire a car in Dubai at low rates is to pre-book your car rentals online. Booking your car rentals online, you may be able to compare the prices between different car rental companies and get the best car rentals deal at cheap prices, with all inclusive. However, the traffic fines are charged separately to your credit card in respective of wherever you rent a car from. You may find Global Brands like Hertz, Budget Rent a Car, Dollar Rent a Car, Europcar, Sixt Rent a Car, National Car Rentals, Alamo, who has car rental counters in the Dubai International Airport as well as office in the city for customers to rent the car. There are also regional car rental brands like Autorent, Diamond Lease, Hanco Rent a Car, United Car Rentals, Paramount etc. which also can be considered for renting a car in Dubai, as they do have in house service centers and provide road-side assistance whenever required. Apart from the above, there are also very small rent car companies, who provide car rentals at cheap rates, but however these should be relooked into. "I generally prebook by car rental in Dubai to save time and money. With Key Car rentals I am worry-free as the booking is confirmed, which makes my travel easy." © 2017 Key Car Rentals. All rights reserved.